The Center for Spirituality, Dialogue and Service at Northeastern University is built, literally, on the ashes of the university’s traditional Bacon Memorial Chapel that burned in the 1990s. All that remains of the original building is one stained glass window in the hallway outside of these spaces. 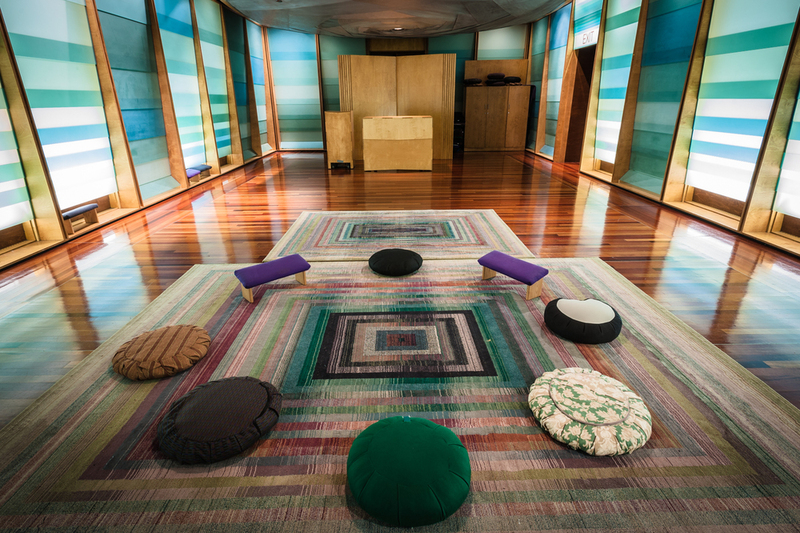 The new Center houses a Sacred Space, a Reflection Room, and an area for ablution, private prayer and meditation. Designed by Monica Ponce de Leon and Nader Tehrani of Office dA and dedicated in 1998, the Center was designed to be flexible and accessible to multiple religious-practitioners. The complex orients east-west pointing towards both Mecca and Jerusalem. The Sacred Space is the largest area and is used regularly for worship, yoga, meditation, and interfaith events as well as private prayer and meditation. An area used by women for Muslim prayer has been carved out of one corner of the main space. The Ablution Area adjacent can accommodate five people to wash (there is additional space in the women’s rest room down the hall) as well as a small area men use for Muslim prayer. 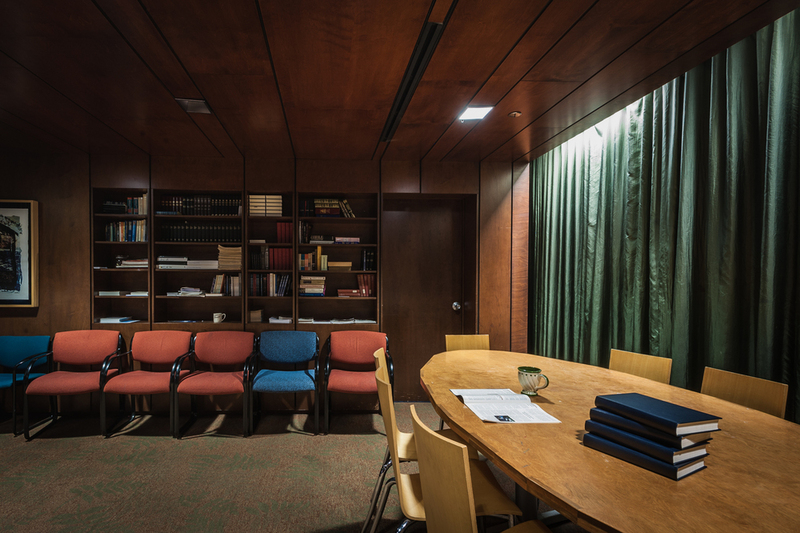 And the Reflection Room at the other end of the corridor provides an area for meetings and conversation central to this vital center. In 2002, the Multifaith Center was awarded the prestigious Harleston Parker Medal, presented by the Boston Society of Architects to "the single most beautiful building or other structure" built in metropolitan Boston in the previous 10 years. The Multifaith Center is in constant use during the academic year. A Hillel House, Chabad House and Catholic Center provide additional sacred spaces on the campus.